James (James Allen McCune) leads a group of college students into Maryland's Black Hills Forest to uncover the mystery surrounding the disappearance of his sister - a mystery many believe is connected to the legend of the Blair Witch. At first the group is hopeful, especially when a pair of locals offer to act as guides through the dark and winding woods. However, as the endless night wears on, they are visited by a menacing presence. Slowly, they begin to realize the legend is all too real and more sinister than they could have imagined. It is easy to forget just how much of a film event The Blair Witch Project was and how many truly believed that Daniel Myrick and Eduardo Sánchez’s 1999 movie (starring Heather Donahue, Michael C. Williams and Joshua Leonard) was real. While not the first film to utilise the found footage technique (who could forget Cannibal Holocaust), The Blair Witch Project really kick-started the genre – for better and for worse. Just when we thought it was safe to go back into Black Hills Forest, along comes Adam Wingard’s sequel - a film that was kept well under wraps almost until its release. Wisely ignoring the first sequel, Book of Shadows: Blair Witch 2, this film explores an interesting (and potentially plausible) premise. Heather’s brother, James decides to revisit the infamous woods with some friends, desperate to find out what happened to his sister. Of course, James wants to record his journey and, of course, one of his companions, Lisa (Callie Hernandez), is a filmmaker. It is here that Blair Witch gets to flex its more modern techie muscles. We have earpiece cameras, walkie talkies and drones. However, the resulting (found) footage feels both too professional and also nauseatingly shaky – often making Blair Witch a rather unpleasant viewing experience. More problematic is the fact that the film does nothing to make us care about any of its characters. There is a potentially intriguing conflict when James’ group joins forces with Blair Witch conspiracy theorists, Lane and Talia (played by Wes Robinson and Valorie Curry). Despite this, they end up feeling like shallow additions to a group of expendable bodies. 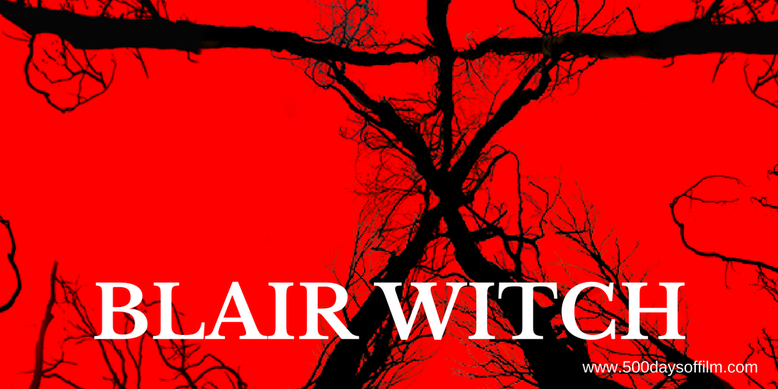 Blair Witch does introduce some interesting new story developments. However, these all end up as wasted opportunities. I lost count of how many times I rolled my eyes in utter frustration. The film’s final act goes all out – throwing every horror trope possible at its audience (unwisely referencing horror classic, The Descent). Sadly, I’d lost all interest in and patience with Blair Witch long before then. Have you seen Blair Witch? If you have, what did you think of this film? Let me know in the comments section below or via Twitter or Facebook!